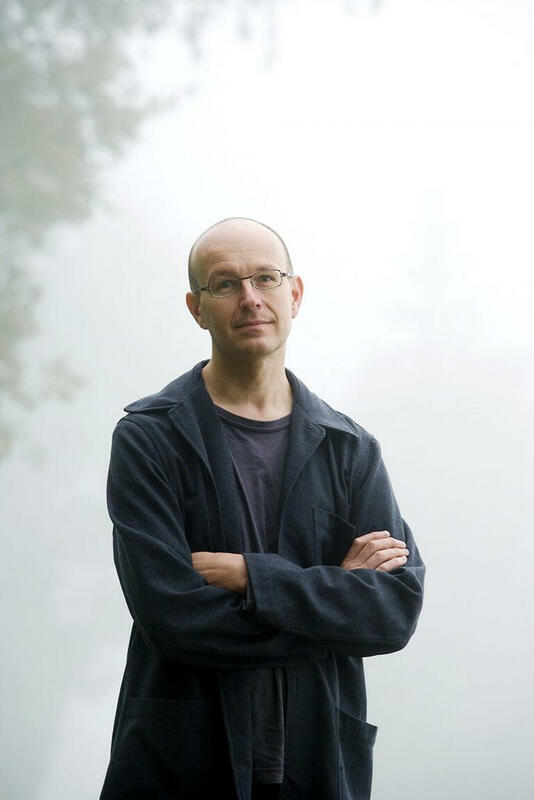 Thomas Larcher stands out as one of the most imaginative voices in classical music today. Born in Innsbruck in 1963, Larcher grew up in Austrian Tyrol and studied composition and piano in Vienna. Larcher’s compositional output includes a wealth of solo piano and chamber works, including string quartets for the Artemis and Belcea Quartets. He began using the colourful timbres of the orchestra, starting with his solo concertos – Still (2002) for viola and orchestra, Böse Zellen (2006) for piano and chamber orchestra, and the Violin Concerto (2008) written for Isabelle Faust. Most recently, he wrote the cello concerto Ouroboros(2015) for Jean-Guihen Queyras, commissioned by Amsterdam Sinfonietta, Swedish Chamber Orchestra, Lausanne Chamber Orchestra, Norwegian Chamber Orchestra, Munich Chamber Orchestra and Hong Kong Sinfonietta. His first large orchestral score was Red and Green, written for San Francisco Symphony in 2011 and conducted by Osmo Vänskä. Later that year, the Double Concerto for Violin and Cello was commissioned and premiered at the BBC Proms with Viktoria Mullova and Matthew Barley under the direction of Ilan Volkov, for which Larcher was awarded a British Composer Award in the International category in 2012. Larcher’s most significant orchestral work to date, Symphony No 2 “Kenotaph”, was premiered in June 2016 by Vienna Philharmonic with Semyon Bychkov. Larcher’s skill in writing for the voice is evident in A Padmore Cycle (2014), originally for tenor and piano but recomposed for orchestra. It was written for Mark Padmore and premiered by BBC Symphony Orchestra under Edward Gardner in November 2014. Alle Tage (2010-2015) for baritone and orchestra was premiered by Matthias Goerne with Jaap van Zweden and the Netherlands Radio Philharmonic Orchestra at Concertgebouw in 2015. Larcher received the Elise L Stoeger Prize from the Chamber Music Society of Lincoln Center in 2014/2015. His recordings on ECM and Harmonia Mundi have also been awarded several international prizes, including Preis der Deutschen Schallplattenkritik.